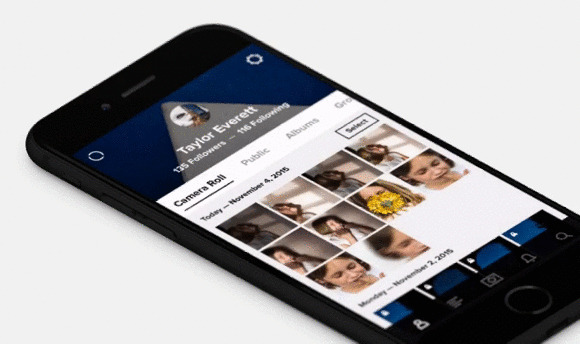 The free Flickr 4.0.6 adds support for both iOS 9 and 3D Touch. Owners of the latest iPhone 6s lineup can now preview photos, people, notifications and more with a light press. When previewing a photo in camera roll, users can move their finger left or right to quickly page through neighboring photos. Press harder on the selected photo to "pop" it to full-screen. 3D Touch has also been added to the app's icon, allowing users to quickly jump to commonly used features from their home screen. 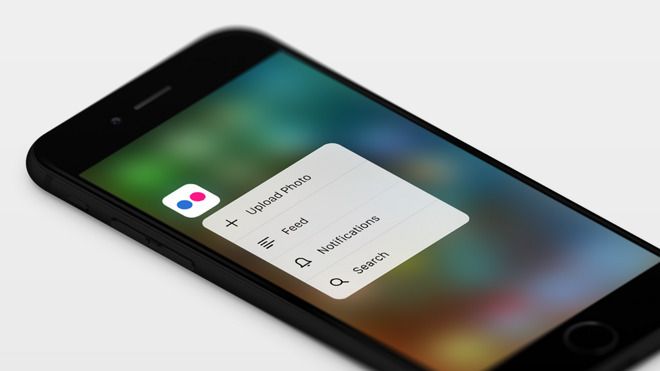 For all other devices running iOS 9, Flickr has also gained Spotlight Search support, allowing users to find albums, groups, and recently viewed items without opening the app. There is also support for universal links that open the app directly, instead of through Safari. Also updated Thursday was the $1.99 app Mobile Mouse Remote, with version 3.3.4 also adding support for iOS 9 and the iPhone 6s lineup. It too adds quick access to commonly used features with a firm press on the app's icon. The new Mobile Mouse Remote also turns the entire iPhone display into a pressure-sensitive trackpad. This allows users to use an iPhone 6s or iPhone 6s Plus just like the pressure-sensing Force Touch trackpad on Apple's latest MacBook models. 3D Touch support also includes a glow that respond to touch pressure. And when using the Mobile Mouse Remote application switcher, users can push down on an icon to bring up the option menu for that app. Finally, the new update uses 3D Touch to offer pressure sensitive drawing without the need for a pressure sensitive stylus. Users can utilize their finger or just a plain stylus to draw in their favorite graphics apps on OS X.